Today post is my first post for 2019 😊😊. 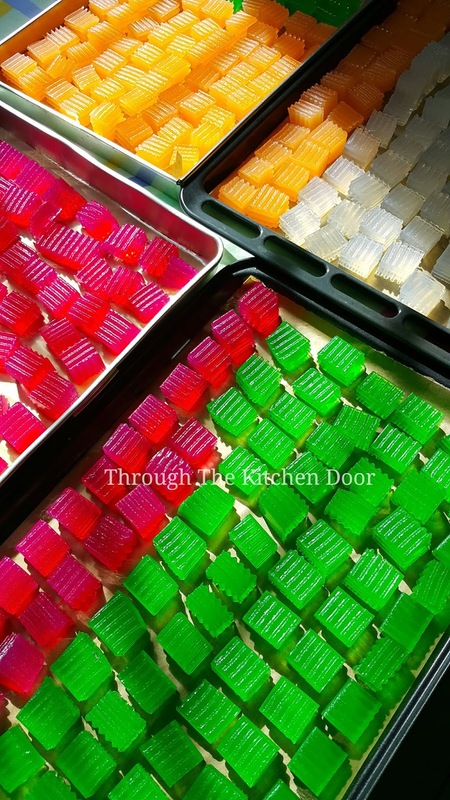 How sweet could it be posting my first post is sweet jelly candies. Hopefully for the rest of the year my life would be sweet sweet. 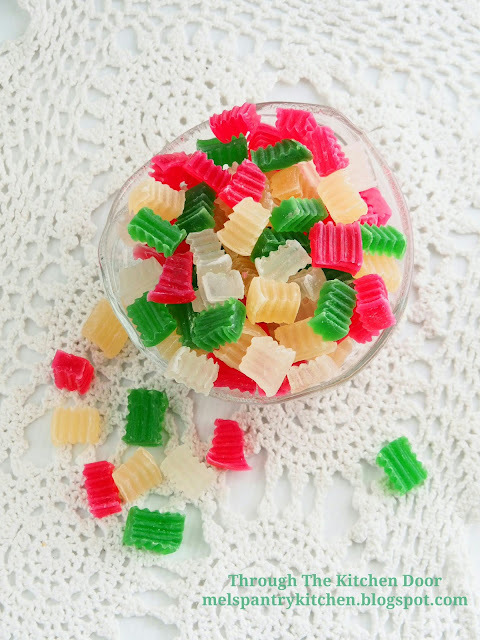 Dried Agar Agar candies .... I once tasted this dried agar agar is when Im a teenager time going visiting a Malay friend during Hari Raya. My first bite of this candy and Im absolutely love it. 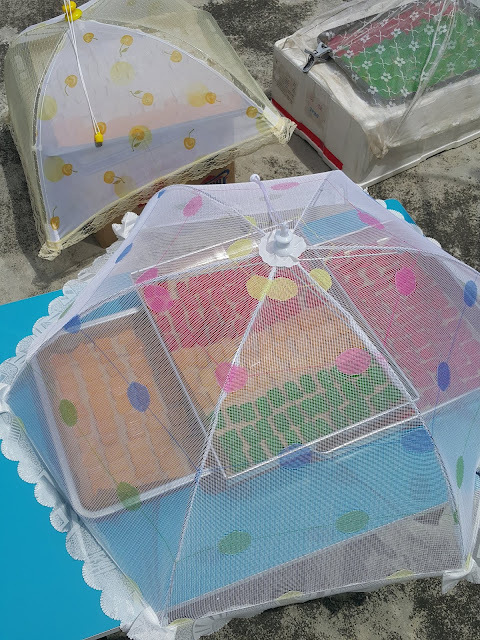 When I asked my friend how it was made, she told me that the agar agar had to be sundried for days. What??? For days?? Oh not me, Im not going to do this ridiculous hardwork to sundried these candies for days before I can eat it!! 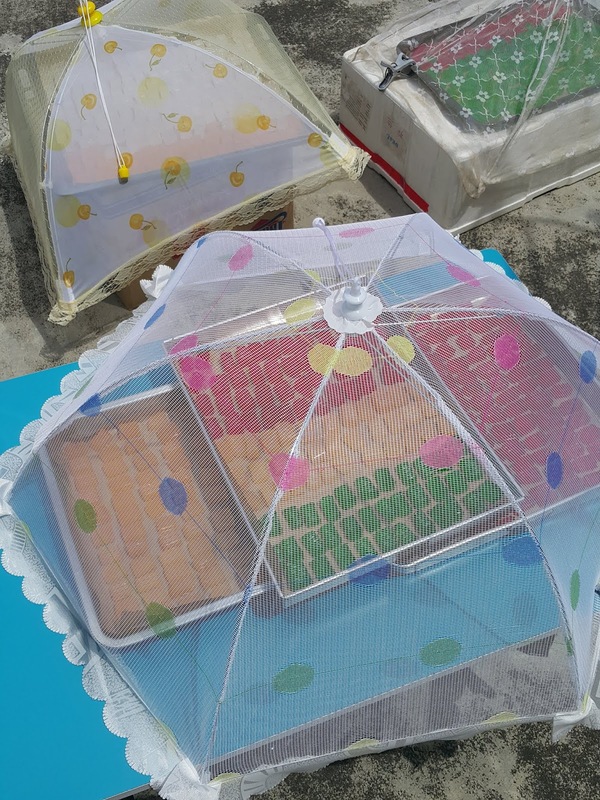 And after 30 over years, here I am making this sweet candies to enjoy 😁😁. In a heavy based big pot, put the agar agar strips and pour the 3 litres water in. Bring to a boil and turn to low heat, boil until all agar strips have dissolved; stirring occasionally. Prepare 4 square or rectangle baking pans. Add in the flavourings and colourings into each of the pan. Set aside. Add in the rock sugar and caster sugar. Cook till everything dissolves. The texture should be thick once the sugar and agar agar has dissolved. Pour the agar agar mixture evenly into the four pans and stir to mix the flavouring and colouring. Once the agar agar has turned solidified, cut out with serrated knife. (do cut out into small pieces). Arrange the cut pieces, serrated side down on a large tray lined with non stick baking paper. Sun dry until a whitish crunchy crust appears. Turn jelly pieces every other day for proper exposure to the sun. Smaller sizes can cut short the drying time. Will I make this again? Bringing in and out these trays of gems for 3 to 4 days to sundry and depending on the weather? Yes, definitely will make this again but I think I will get a food dehydrator to do the drying for me 😆. (I have to keep a watchful eyes on it in case bird's dropping ... or flies landed on my gems). In the beginning when I was going through reading the recipe, the amount of rock sugar and sugar used in it really scares me off. But believe me, it is really not that overly sweet in taste. I find it just perfect !! Here I would like to wish all my Chinese readers Happy Chinese New Year in advance! Gong Xi Fa Cai and have a prosperous year ahead ! Hi Mel! 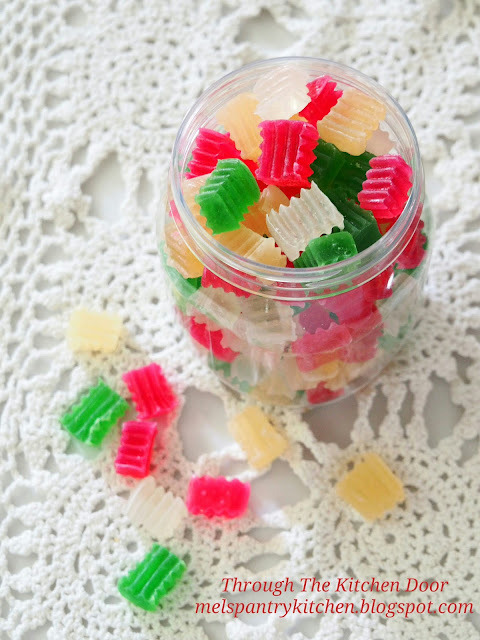 I love these dried agar agar candy. Used to eat them when I was a kid. Quite a job making them especially the drying part! My pace has lots of birds, cats and squirrels. So can be quite a risk hah..hah..